If the Democrats will get in the way, people will find a way. Don’t look now but the GoFundMe page for the “We The People Will Fund The Wall” has reached an amazing $6,440,759 in just three days since it was launched. The goal was set at $1 billion and so far 105,650 people have donated to the fund. The figure is rising by the minute as more and more Americans are chipping in. The fundraiser was started by a triple amputee and war veteran, Brian Kolfage. The vet also clarified that he is not personally against immigration per se, so long as it is done legally and right. He shared that even his own grandparents immigrated to the U.S. but that they did so correctly and upheld laws. Kolfage is urging that the promised wall still be built. He is especially directing his call to all Trump voters. 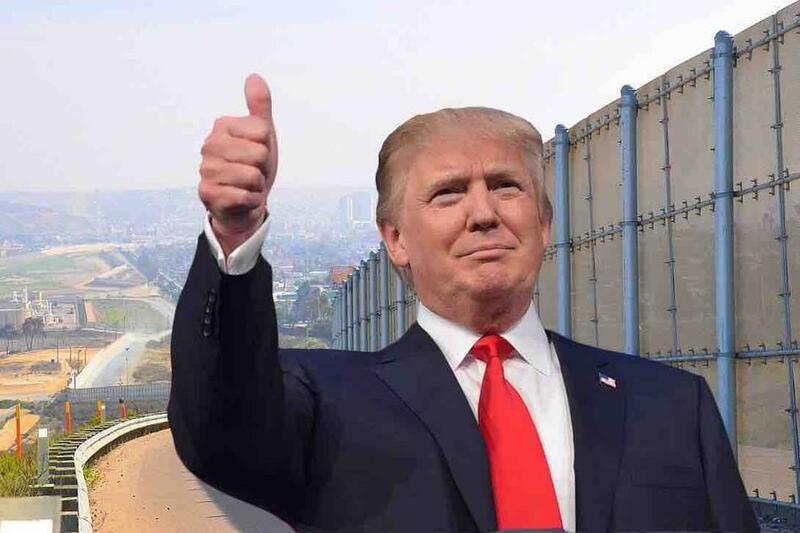 His plea: “If the 63 million people who voted for Trump each pledge $80, we can build the wall.” He said that the amount would total $5 billion and that even if they only get half of that, at least that already constitutes half of the wall for starters. Not bad. With $25, $50, $100, some much more, it looks like so many people are responding- and responding fast to have the wall built by making their own direct contributions. WHILE I ADMIRE THE UNIFIED EFFORT, I FEEL LIKE ITS OVERSHADOWING PRESIDENT TRUMP'S SHOW. LIKE SOMEONE STANDING UP IN FRONT OF ME IN THE CINEMA. I CANT SEE THE SCREEN. I CANT RELAX WITH MY POPCORN AND ENJOY THE MOVIE. I WANT TO SEE THE MAESTRO'S BRILLIANT MOVES AND HIS PLANNED DELIVERY. I TRUSTED TRUMP TO WIN. HOW SAD. If the American people want something, they can usually find a way to get it. This is our way of telling President Trump we are committed to him and the wall.. We can see him standing in the oval office with millions of us standing behind him...won't see this from the democrats who obstruct every good intention put forth. Go Trump, go the wall and God bless Kolfage who had the courage to start the Go Fund Me. Many talked about it and he followed up. I think if you opened up the way people could donate , you would get enough to build the wall in no time . ( from the people of the rest of the free world ) I would donate from new Zealand. If we all pitch in to fund the wall we can save our country and tell the deep state and liberal globalists to go to hell. Time to be counted, go donate. Own the wall.